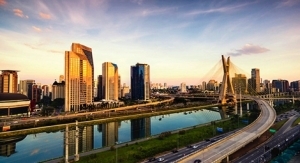 The global nonwovens industry will meet in Tokyo, Japan next month. Here is a look at what some exhibitors plan to showcase. Photo courtesy of Emtec Electronic. Photo courtesy of Gachn Technology. 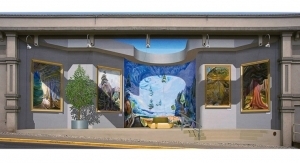 Photo courtesy of Uster Technologies. 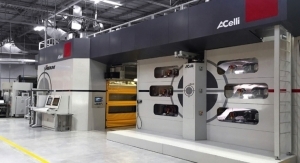 A.Celli group will present its own answer to the trend of Industry 4.0: Extreme Automation, for production at its very best, at ANEX 2018. The A.Celli Group strongly believes production based on the new technologies of Industry 4.0 can ensure more immediate and tangible optimization of each and every stage of the production process. 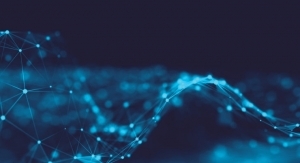 The most interesting and useful aspect in this regard is the management of acquired data—the possibility of storing the data and conducting precise data analysis. As a result, operators can implement preventive maintenance schedules for the machines and eliminate defects or non-conformities in order to maintain the high performance/productivity of the machinery, thereby ensuring better quality of the final product. During ANEX 2018, visitors will learn about the economic and technical advantages of Autefa Solutions as a full line supplier for carded-crosslapped needlepunch lines, aerodynamic web forming technology, spunlace and thermobonding lines. 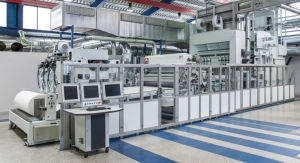 Autefa Solutions’ nonwovens lines meet customers’ requirements for quality web formation, bonding, active weight regulation and minimal maintenance. In the automotive, construction and residential market, efficient thermal and acoustic insulation are key factors that contribute to energy savings and the reduction of natural resources consumption. The aerodynamic web forming process with Autefa Solutions random card Airlay K 12 stands for an improved MD:CD ratio and a three-dimensional web structure. During the process, the fiber material could be opened up to a single fiber; this enables a high versatility regarding fiber choice. The Airlay K 12 offers the special advantages when it comes to lighter weights and high loft fabrics. The increased opening capabilities distinguish itself for PET as well as fiberglass fiber processing. 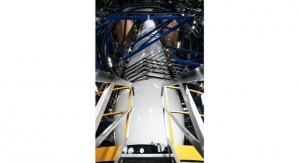 Autefa Solutions’ lines cover the needs of highly-competitive automotive markets. Higher speeds and an improved quality have been set as key targets by customers. The Web Master Futura card was developed and designed for high production speeds with a special focus to improve the maintenance costs. The different modules of the card means feeding group, main cylinder, transfer group and doffers, are each placed on a separate carriage. The carriages are connected to each other and form a “train” which allows easy and full access for cleaning and maintenance. The crosslapper Topliner in combination with Web Profile Control WebMax is the key to the web quality. The crosslapper Topliner optimizes the CV-value which leads to significant reduction of material costs. The two drafting zones of the WebMax ensure a slight pre-draft and a precise draft of the web in the second drafting zone. This is of special importance to guarantee constant quality at high production output with all raw material types. Based on the reliable technology and the long-standing experience of the former company Fehrer in Linz, Austria, Autefa Solutions delivers high innovative Stylus needle looms with the Variliptic drive concept (elliptical needling) and with the NL drive for vertical needling. The Stylus needle loom improves the web quality, by reducing the draft especially in the pre-needling process, increases the machine durability and minimizes maintenance. Autefa Solutions offers a wide product range including Stylus single- and double-board needle looms, tandem needle looms, velour-, structuring and patterning needle looms as well as needle looms for paper maker felts. Needle looms for fabrics and needle looms for glass fiber insulation matts were requested by customers. Customers like the extremely reliable and robust Stylus series (from one to 16 meter working widths). The advantage of the design offers vibration-free running, needle densities up to 30,000 needles per meter and highest production due to stroke frequencies up to 3000 rpm in continuous operation. 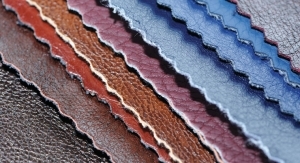 Autefa Solutions is a full-line supplier and a market leader for top quality artificial leather lines. During the last couple of years, the company has sold several complete lines to leading producer Alcantara, Italy, and to Toray Group, Japan. The high-quality artificial leather products are widely appreciated by the most famous brands in the automotive industry. Carbon and glass fiber reinforced plastics as well as composites with natural fibers result in extremely light and stable components. Autefa Solutions shows innovative solutions for the processing and recycling of carbon-, glass-, aramid- and natural fibers. 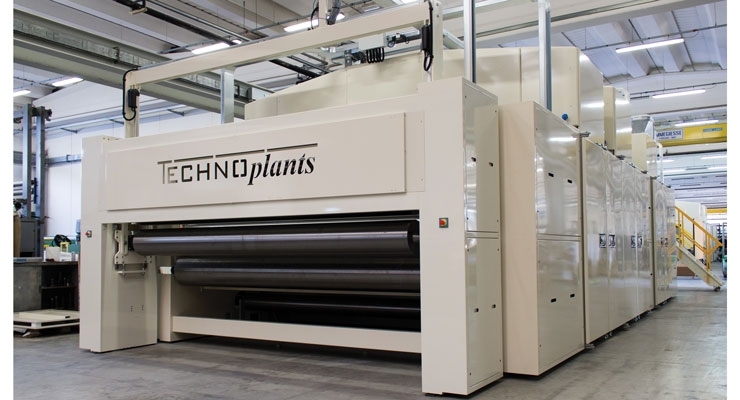 Since 2010 the company has been concerned with the reutilization of recycled carbon fibers to carbon fiber nonwovens and has already successfully placed production lines in the market. Autefa will also showcase its latest hydroentanglement technology for producing nonwovens for the wipes or cotton pads markets. Known as the V-Jet injector, this technology is installed in several productions and led to significantly higher tensile strength at same entangling water pressure than a standard injector. The possible reduction of water pressure is in the range of 20%. In addition, the water consumption is reduced by 10% when using the same nozzle diameter and pitch. The new Square Drum Dryer SQ-V combines the advantages of a horizontal dryer with the lower space requirement of a conventional drum dryer. The nozzle system uniformly distributes the airflow in terms of speed and temperature throughout the whole working width, providing best spunlace web and surface quality results. The Square Drum Dryer SQ-V has different heating zones and operates each heating zone with optimal drying conditions. Due to the small footprint the Square Drum Dryer SQ-V is the ideal solution for energy optimizing of existing lines. 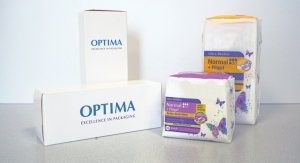 The consumer products benefit from nonwovens featuring elasticity, softness and absorption. As a premium supplier, Autefa Solutions delivers machines for opening, blending and carding as well as ovens and dryers out of one hand. 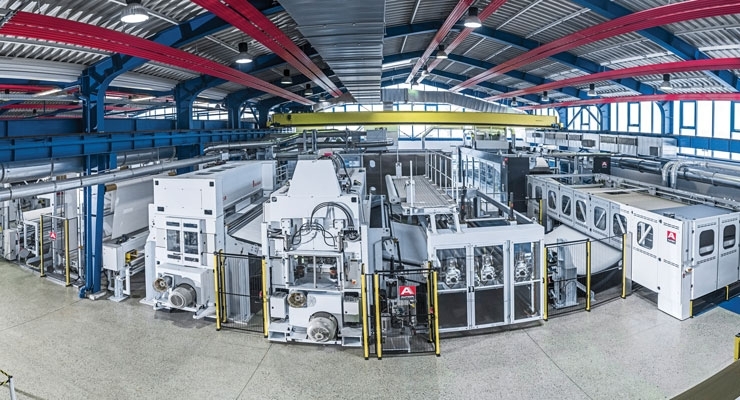 Autefa Solutions’ high-speed oven HiPerTherm HS distinguishes itself by an approved accuracy airflow system with high production speeds up to 250 m/min. The HiPerTherm HS is a single belt oven for thermobonding and drying. The double nozzle system allows the creation of extremely uniform product treatment. 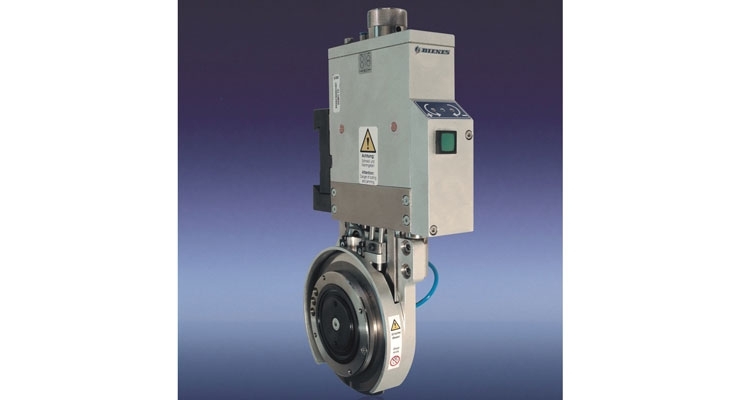 The key strengths of the Autefa Solutions belt dryers are highest uniform airflow, the precisely adjustable temperature distribution and the ability to maintain loft. The machine has been especially designed for the manufacturing of topsheets and ADL what demands utmost accuracy. The nozzle design prevents dust accumulations and ensures the capture of dust in the automatic filter systems. Avgol, a global leader in the manufacture of nonwoven fabric solutions, will highlight its recent innovations at ANEX 2018. The company is a pioneer in the development of high-performance nonwoven fabrics for the baby diaper, adult incontinence and feminine hygiene sectors. It is focused on manufacturing fabrics, which address fundamental consumer requirements including softness, discretion and skin wellness. 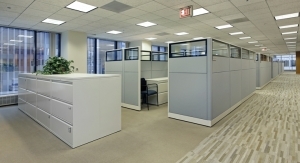 The company will also be demonstrating new antimicrobial solutions and natural, eco-conscious developments. Nick Carter, market business intelligence & intellectual property director at Avgol, says, “The nonwovens industry is one of the fastest growing in the world, generating demand for new product enhancements and continuing innovation to harness the full potential of these extraordinarily versatile materials. 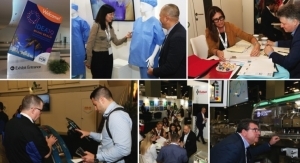 Bostik – a leading global adhesive specialist for disposable hygiene products – will present innovative adhesive solutions at ANEX. 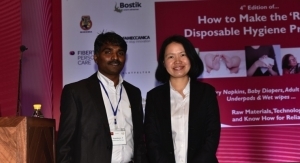 Bostik’s presence at this event will contribute to the overall focus on innovations that drive the disposable hygiene industry, particularly in the Asia Pacific market. Conference attendees visiting the booth will gain an inside perspective on Bostik’s Smart adhesive solutions for disposable hygiene. 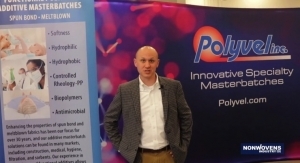 Regional and global Bostik experts will also be available to help existing and potential customers understand how adhesives can help them to achieve their overall business objective. Bostik will feature an interactive exhibit area where visitors can view core and odor solutions in the form of disposable hygiene product animations. As the world’s largest supplier of high-stress adhesive products for disposable hygiene, Bostik always has been a leader in the innovation of smart adhesive technologies, and has consistently revolutionized and spurred development in the industry. Bostik offers an extensive line of adhesive products that are ideal for new disposable hygiene products including industry leading technology like ZeroCreep and, a world’s first, Brilliance. Diaper Recycling Technology will showcase 2018 updates to their low energy Gen 7 recycling technology which enables up to 87% of raw material investment to be recovered. With their 200-400 KG per hour systems already shipping, a stronger focus will be given throughout 2018 to scale up production capacity of their lower capacity machine portfolio: 0-50 KG/Hour, 50-100 KG/Hour and 100 – 200 KG/Hour. New separation technologies will also be presented capable of removing tissue core-wrap from the plastic waste stream as well as newly developed technologies to achieve 100% pulp purity. 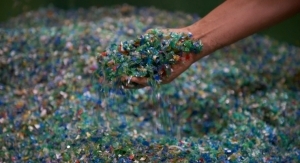 “Our recycling technology processes the plastic over 400 times and as such the plastic waste stream emerges from the process very clean with pretty much 100% of pulp and SAP removed. If the products contain a nonwoven core-wrap the plastic waste stream can go directly into our pelletizing process. For companies operating with tissue core-wrap going directly into the pelletizing process creates significant process issues forcing companies to bale these waste streams significantly reducing re-sell value. We recommend companies using tissue core-wrap to use a new tissue core-wrap removal process which enables the plastic waste-stream to be directly pelletized,” states Martin Scaife, chairman and CTO. The company’s breakthrough combi-pelletizing technology will also be presented at ANEX which integrates automatic pelletizer and low energy trim collection processes into a single machine which converts plastic waste streams into valuable pellets. The most recent updates include pellet coloring technology which changes the color of the pellets (normally to black) which enables the pellets to be sold as “re-pro” within the plastics industry. 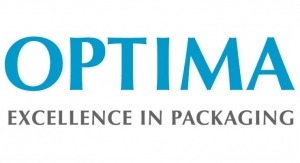 “Re-Pro, a standard commodity within the plastics industry, typically sells for between $500–100 per ton which is significantly higher than baled plastic,” Ramon Escano, systems integrator director, Diaper Recycling Technology Pte. Ltd., says. Dienes, a specialist in industrial slitting technology, has developed the PSGs-DF 50 DC (Depth Control), a knife holder that considerably facilitates the adjustment of the overlap depth. The perfect adjustment of the overlap depth is particularly important for clean and perfectly cut edges. 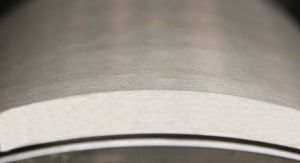 Incorrect settings can lead to unclean cutting edges, high knife wear and thus poor product quality. With the patented knife holder PSGs-DF 50 DC, the adjustment of the overlap depth is now easily and conveniently controlled via an LED display. A clever innovation that ensures greater precision and safety, especially when changing knives, is already being used successfully by many customers. 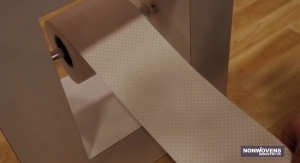 Especially in the nonwovens sector, this knife holder is used for slitting, where the most different nonwovens are cut, e.g. : spunlace, airlaid, carded nonwoven, drylaid nonwoven, environmental nonwovens as well as very durable fabrics and much more. While other knife holders have a scale ring for adjustment, but where you need to know how large the diameter of the knife is, a sensor automatically registers the knife diameter with this knife holder. To adjust the overlap depth, first activate the button on the electronics housing mounted at the front. Two LEDs in different colors indicate to the operator in which direction the knurled nut is to be turned for manual depth adjustment. 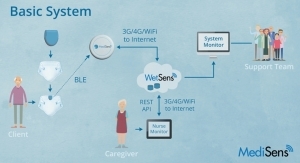 Sensory detection takes place without touching the knife edge. It makes no difference whether new or reground knives with a smaller diameter are used. When a red LED lights up, the operator turns the depth setting in the direction indicated by the arrow. When the green diode in the center of the electronics housing lights up, the optimum immersion depth is reached. 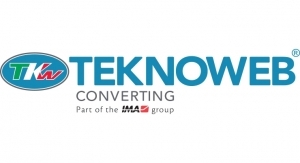 Emtec Electronic, a developer and manufacturer of specialized test devices for the paper, nonwoven and textile industries, from Leipzig, Germany, will showcase its TSA Softness Analyzer for Nonwovens at ANEX 2018. The emtec TSA – Nonwoven Softness Analyzer can measure the three basic parameters, which determine human feeling. These three basic parameters are the softness, smoothness and stiffness. By different mathematical models, a hand feel (HF) value can be calculated, correlating very well with the human expectation. Tests have shown a correlation between 90-100%, which indicates a possible substitution of the subjective hand test by this objective measuring method. The TSA includes also a measurement of the elastic, visco-elastic and plastic properties. In particular, the availability of the three basic parameters offers a great number of possibilities for R&D, process and product optimization and quality assurance. During the exhibition, the booth visitors are invited to bring their samples for measurement of the softness. To compare samples, it is important that they are of the same type of application. 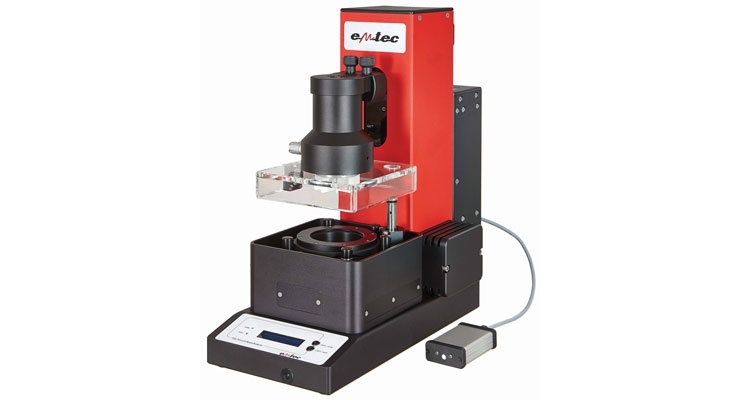 The difference between the samples can be evaluated concerning the three basic parameters. Generally, emtec offers a special development of a hand feel algorithm for its customers and their products by the application and R&D team of the company. Besides the regular high-performance PC software for extensive evaluations, which comes with the device, the additional PC software “QA” for very quick measurements and evaluations performed by the production personnel is available as well. ExxonMobil will showcase its recently introduced Achieve advanced PP, featuring new products that offer a significant step beyond traditional PP performance. Built on technology innovations, these products allow customers to challenge reality. 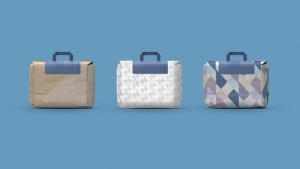 Now customers can rethink what is possible in a range of applications, including automotive parts, rigid packaging, nonwovens and appliances. The performance of Achieve advanced PP combined with value chain collaboration enables customers to unlock new business opportunities. 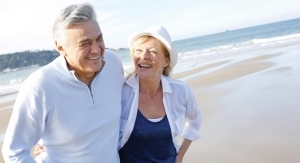 Achieve advanced PP sets the benchmark for tremendously comfortable nonwovens. 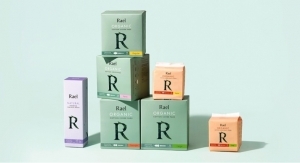 It allows brand owners to challenge reality by providing outstanding barrier properties and up to 15% higher fabric strength that can be tailored to meet the needs of diapers, wipes, adult incontinence, and feminine care products. Delivering amazingly eye-catching appliances, this widely recyclable advanced PP is ideal for upgrading standard impact copolymer solutions or replacing over-engineered ABS (acrylonitrile butadiene styrene). Achieve advanced PP helps brand owners challenge reality because parts with 20% higher gloss than standard PP can now be economically produced. Delivering extraordinarily tough automotive parts, this advanced PP is inspiring compounders and auto makers to challenge reality. With 35% higher impact versus standard impact copolymers, Achieve advanced PP enables tougher, lighter vehicle components that are durable and safe. Plastomer loading can be reduced by up to 50% for cost saving opportunities. Freudenberg Performance Materials and Japan Vilene Group will present solutions for energy, medical and automotive markets at ANEX. The broad product spectrum ranges from battery separators and laminates comprising hydrophilic PU foams and hydroactive nonwovens to acoustic pads for vehicles. Redox flow batteries are in demand wherever large amounts of energy need to be stored over several hours while remaining ready for discharge at any time. A key aspect is optimizing efficiency. Freudenberg’s nonwoven electrodes with a unique three-dimensional fiber structure were specially developed to improve liquid circulation in redox flow batteries. These innovative electrodes feature a flexible design that enables them to be adapted to specific customer requirements. Redox flow batteries are in demand wherever large amounts of energy need to be stored over several hours while remaining ready for discharge at any time. 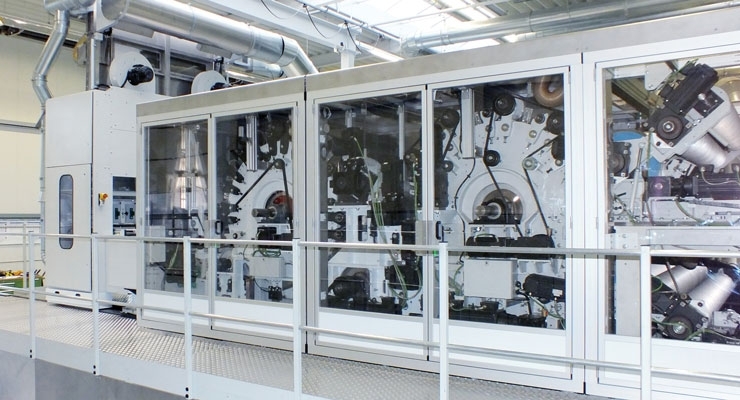 A key aspect is optimizing efficiency and Freudenberg’s nonwoven electrodes with their unique three-dimensionally fiber structure were specially developed to improve liquid circulation in redox flow batteries. One key to the success of e-mobility is providing more efficient and safer batteries. Freudenberg’s safety separator for lithium-ion batteries consists of an ultra-thin PET nonwoven impregnated with ceramic particles. It remains stable at high temperatures and does not shrink and is considerably less sensitive to mechanical penetration. Following the introduction of an MDI-based foam, Freudenberg Performance Materials has continued with the systematic expansion of its portfolio in this field. The company has now entered series production of ISO 13485-compliant laminates comprising hydrophilic PU foams and hydroactive nonwovens. The combination of these two components, foam and nonwoven, can achieve a significant improvement in the ability of wound dressings to absorb and retain exudate. Customers can choose between MDI- and TDI-based foams. “scaffolene” – Freudenberg’s nonwoven fabric made from bioresorbable polymers is extremely versatile in both characteristics and applications. Flexible and tear-resistant when dry, it remains stable even when wet, maintaining its structure and avoiding clumping. During operations, the material can be easily and securely positioned in the right place in the body. The fabric eventually breaks down inside the body of its own accord, rendering a further treatment to remove the dressing unnecessary. In addition to its use in wound healing, scaffolene technology opens up new therapeutic possibilities within other medical fields, including bio-surgery and regenerative medicine. Good sound absorption in vehicles increases driver and passenger comfort. It also has a high priority in electric cars because electric drive trains cause less noise than combustion engines For this reason, other noise sources in different frequency ranges become more important. Freudenberg will be presenting innovative acoustic pads that provide outstanding sound absorption inside the vehicle. The lightweight pads help customers to save weight substantially and they are highly cost efficient. The pads are suitable for a wide variety of applications in the car such as door panels, headliners, trunk areas, wheel-houses and so on. 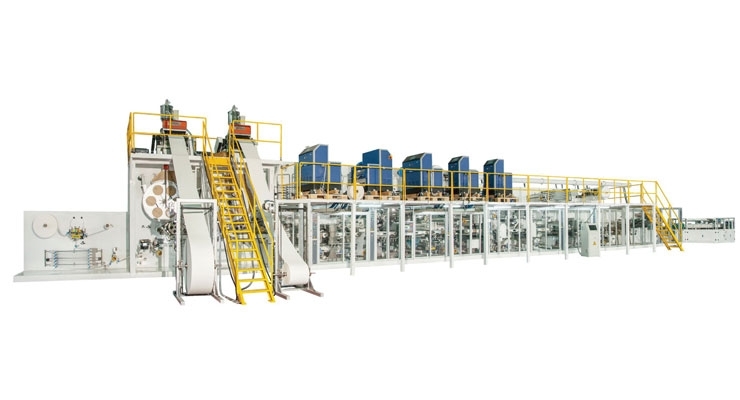 Xiamen Gachn Technology’s disposable diaper packaging machine is divided into two categories— baby diaper pack counting machinery and disposable baby diaper bagging machinery. Both its baby diaper pack counting machine and disposable baby diaper bagging machine enjoy a design speed of 60 bags per minute, and an optimal packaging speed of 40 bags per minute. 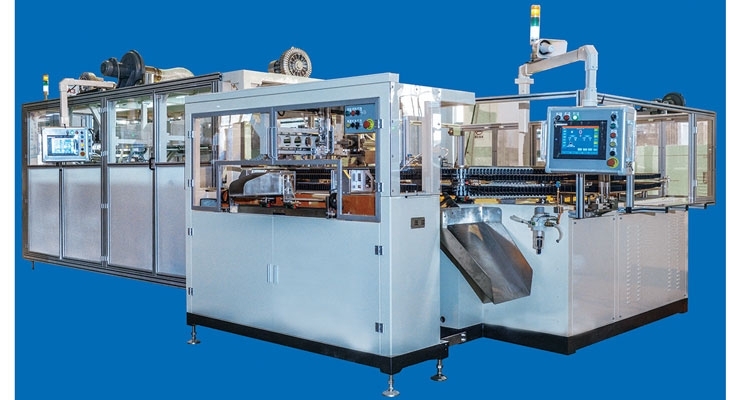 Additionally, they all enjoy a full servo drive system, provide fully automatic stacking, compressing, bag opening, bagging, shaping and sealing, etc. Gachn’s baby diaper packaging machine is designed with pushers, greatly enhancing their running speed, and providing a more stable operation. The whole stack of diapers will be fed within disposable baby diaper bagging machine, allowing a smoother bag removal and opening. Hezhong Technology manufactures high-quality and durable polyester spunbond nonwovens for filtration, automotive, mattress, agricultural and medical applications. The surface embroidery includes diamond, point or flat bond. An in-house finishing line allows treatment on materials including antibacterial, anti-static, flame-retardant, oil-repellent, hydrophobic and hydrophilic. Maximum roll widths are 2400 mm or 3200 mm with 12-300 gsm basis weight. Printing or coating is also available. Hezhong has the shortest lead time with customer service available at any time zone. Hezhong Technology is located in a beautiful coastal city in Liaoning Province, Northeastern China. 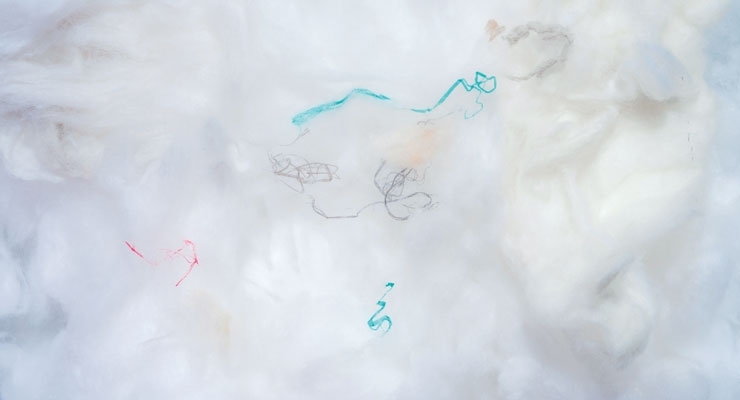 Jacob Holm will present SoftFlush­—a unique, patented dispersible wipe material developed by the company. 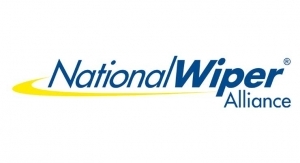 When it comes to dispersible wipes, softness matters. SoftFlush is a unique, patented dispersible wipe material exceeding the highest levels of dispersibility with significantly higher strength and softness than leading competitors. With custom designed fiber blends from sustainable natural resources, SoftFlush is extraordinarily soft and lofty as well as 100% biodegradable. SoftFlush is designed to meet the rapidly changing demands of the dispersible wipes market. The use of custom designed fiber blends allows for the development of higher wet strength while maintaining outstanding dispersibility properties that exceed current INDA/EDANA industry standards. JX Nippon ANCI Corporation develops and produces highly functional and high-performance special nonwoven fabric and agricultural materials, etc., which have cross laminated structure by original technology. 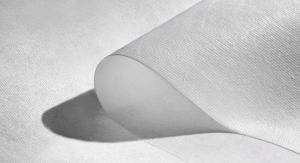 Nonwoven fabric products using its proprietary technology have unique appearance, high dimensional stability, light weight and high strength, and are widely used in construction materials, packaging, tape, paper packaging, automobile, daily necessities, industrial materials, agricultural materials etc. The company will display its Warifu and Claf cross-laminated polyolefin open mesh nonwoven; Milife, its cross-laminated continuous polyester filament nonwoven, Conwed Net, polyolefin extruded/oriented plastic netting and Meiryo, Nukunuku, Teruteru extruded/oriented agriculture materials. In addition to these product, JX also has microfiber nonwoven fabric, heat retaining nonwovens, fine mesh Warifu and lightweight CLAF materials all under development. The second break-through innovation also to be presented at ANEX is the energy free chiller that can be plugged to the above multi-vortex filtration modules. “The process and hot air exiting the filter is chilled from 65C°to 25C° without additional energy being applied. When linked with closed-loop convertor technology the combined process saves 80-85% of HVAC energy costs for hygiene manufacturers located close to the equator and between 40-50% of HVAC energy costs for hygiene manufacturers located in the northern and southern hemispheres. The technology also fully separates human air to machine air thereby eliminating the risk of employees breathing recycled factory air where fine micron SAP dust are present.” Ramon Escano, systems integrator director, says. Mogul Nonwovens is a Turkish-based international nonwoven roll good manufacturer, with four facilities in Turkey and the U.S., and ranked in the global top 40 nonwovens companies by Nonwovens Industry magazine. Mogul is exporting a majority of its capacity to more than 53 countries in four continents on a global basis, with consistent quality, cost-effective solutions, and satisfactory service. 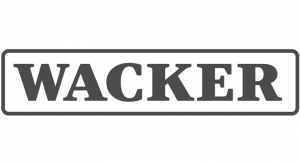 Major markets it serves include air/liquid filtration, wet/dry wipes, automotive, bedding, artificial leather, facial mask, hygiene, dryer sheet, outdoor/sport wear, and spill control. At ANEX, Mogul will showcase its new innovative and high-performance products, particularly the brand-new Madaline. These products are suitable to meet current environmental concerns, automotive material selection challenges, growing populations, and rising living standards in the Asian countries. 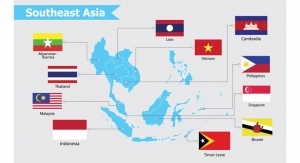 Aggressive business growth in the Asian region is one of the focuses in the Mogul business strategy. Madaline Bi-component Microfilament Hydro-entangled. Suitable for anti-mite home textile, outdoor/sport wear, artificial leather, facial mask, dry wipe, precision packaging, automotive headliner/acoustics, graphic design, and other applications. Buffalo Bi-component (PET/CoPET) Spunbond (Core-and-sheath Round and Tipped-trilobal Shaped Filament). Suitable for air/liquid filtration, automotive, PTFE lamination, dryer sheet applications, and other applications. Mopet 100% PET Spunbond (Round and Trilobal Shaped Filament). Suitable for air/liquid filtration, automotive, dryer sheet, and other applications. Durell Cross-lapped Spunlace, with optional value-added chemical treatment. Suitable for artificial leather, facial mask, automotive headliner/interior, dry wipe, medical bandage, and other applications. Aqualace Parallel-laid Spunlace. It is a globally recognized premium product in the wet wipe industry, and favored by customers in American, Europe, Middle East and Asia. Ultrasorb PP Meltblown and Composite. A cost-effective solution for oil/chemical spill control such as in ocean/river port, oil field, petroleum industrial, machine maintenance/cleaning, automotive assembly line, and other applications. 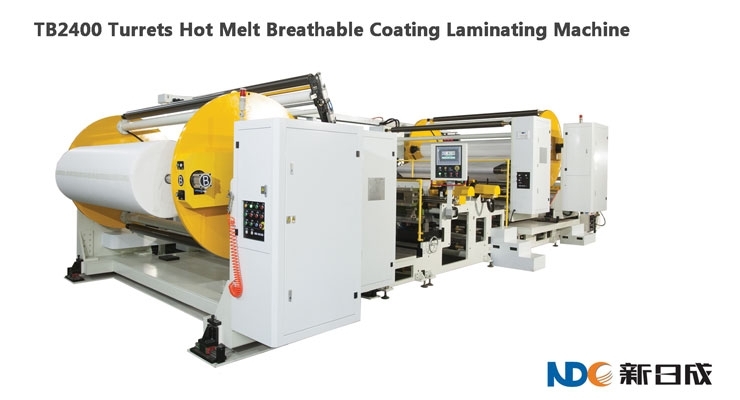 NDC, founded in 1998, is manufacturer of hot melt adhesive application systems in Asia and has provided solutions and services in a diverse range of industry including personal care, medical underpads, surgical gowns, building and roofing materials, filtration materials, automotive interior materials, self adhesive label stock and do-it-yourself mulitfunctional gluing. Peixin will showcase a full-servo control elastic laminated waistband baby diaper production line. 5. It is workable to mount the camera monitoring system, which can conduct on-line size checking, location inspecting, missing inspecting, stain spot scanning and so on. 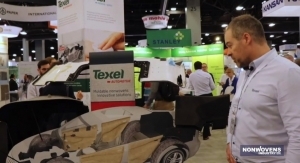 It has been a busy start to the year for SAF (Super Absorbent Fibre) manufacturer Technical Absorbents and it is now gearing up to exhibit at one of the world’s largest nonwovens exhibitions, ANEX. ANEX is an important event for Technical Absorbents, which is owned by China National Bluestar (Group) Co, Ltd., and a valuable platform to help raise awareness of its SAF technology in the Asian markets. “This event is an ideal opportunity for us to educate the region’s growing nonwovens industry about the benefits of SAF fiber and fabrics,” explains commercial director Paul Rushton. At the beginning of 2018, Technical Absorbents unveiled a new look for the SAF branding and this will be prevalent on the stand. The team will have with them different SAF fiber samples – long and short staple – a selection of SAF fabrics, including its latest low basis weight and washable grades, and will also have experts on hand to discuss potential bespoke development projects with visitors. Sateri is a global leader in viscose rayon, exporting its products to many countries, including the U.S., Europe, Turkey, Japan and Korea. Sateri’s fibers are perfect for bringing the gentle touch to baby wipes, facial masks and other hygiene items. Its viscose fiber is made from 100% dissolving wood pulp to ensure purity and quality. It is soft, absorbent and free from harmful substances – making it the trusted choice for medical dressings and products that people use every day to clean and beautify their skin. Sateri is committed to sustainable development. It launched the Sustainable Pulp Sourcing Policy in 2015 and Sustainability Policy in 2016. All of Sateri’s three mills including Sateri (Fujian) Fibre, Sateri (Jiangxi) Chemical Fibre and Sateri (Jiujiang) Fibre in China have Chain of Custody (CoC) certification from the Programme for the Endorsement of Forestry Certification (PEFC), and are certified under ISO 9001 and ISO 14001. All products are also certified to the Swiss-based STANDARD 100 by OEKO-TEX, which confirms that they are free from harmful substances and comply with European Union regulations. Most recently, it has earned the Certified Bio-based Product Label by the United States Department of Agriculture (USDA) for its viscose staple fiber range for textile and nonwoven products. 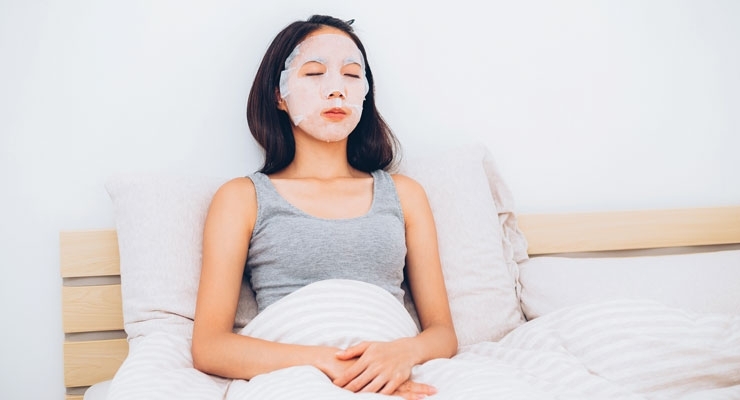 As a long time adhesive market leader and innovator in Japan, Sekisui Fuller understands the key market trends and consumer demand for soft-feel, premium quality, and improved comfort and fit. 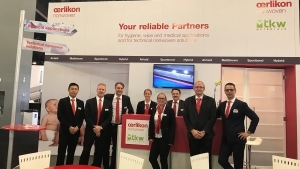 Known for high-quality technical solutions and innovation that’s driving the next generation in disposable hygiene articles, Sekisui Fuller will be showcasing its latest product range and innovations at ANEX. 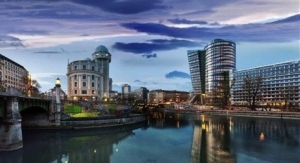 SGS, which will be located at Booth 2030 Hall 2, will showcase developments from its tissue and hygiene division, an independent disposable hygiene laboratory and consultancy with over 30 years’ experience. The division supports a global network of testing facilities and experts. 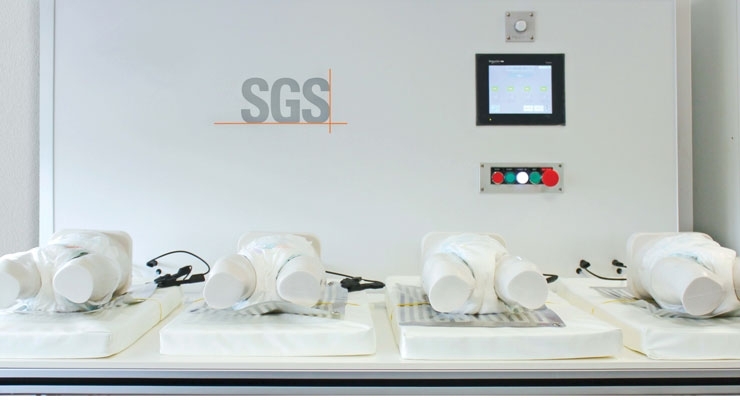 Based in France and recognized as a worldwide reference for the quality of its performance testing services and innovative test equipment, SGS delivers services to the whole supply chain to ensure the safety, efficacy, quality and regulatory compliance of disposable hygiene products for global markets. 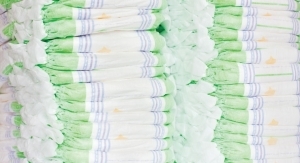 It tests products from baby diapers and feminine hygiene, to adult incontinence pads, cotton and wipes. At ANEX, the company will showcase its absorbent hygiene product services and demonstrating its mannequins on live tests as well as videos presenting its extensive testing services. At ANEX, the Spoolex Group will launch the new generation of its well-known Pegase Jumbo spooling line. Pegase4 is the seventh model in the French company’s range of spooling lines. For several months, Spoolex’s process experts have been working together with the engineering team to enhance the performances of the well-known Pegase Jumbo spooling line. Thanks to numerous material upgrades and a new design, the Pegase key functions have been re-designed and improved to allow higher speed, wider products and easier operation, for always higher productivity. Shalag, the world leader in carded thermobonded and air through bonded nonwovens, trusts once again Spoolex to support its critical spooling project. With more than 30 years of experience and proven expertise, Shalag has developed a global reputation as cutting-edge developers and producers of numerous innovative nonwovens marketed all over the world. To support its production increase at its North Carolina plant, Shalag has invested in the latest generation Pegase line with 10-unit spooling heads. The two companies are proud to cooperate again on this new project and plan implementation this summer. For the past few years, Spoolex has proposed, automated solutions to optimize products flow and reduce logistic complexity, with automatic solutions to transfer, to load, to splice, to unload and to pack, weight, wrap and label, final spools or bobbins. Today, to support the launching of the new Pegase4, the French company now proposes a new smart and complete solution for the end of nonwoven lines. Two years ago, Technoplants introduced the thermal bonding oven, MULTIline and today it is introducing the novelty of this system, the volume maker system. This two-way cooling system allows the operator to cool the bonded fiber web and at the same time insert air inside the mass of fiber, in order to increase its volume and crystallize it in the desired position. The system is patented and allows to have a significant increase in the volume of any kind of fiber web. The characteristics that have made the success of this top version oven, has been increased in this new version. In particular, the central position of the fan and burner unit and the lateral air intake and delivery channels inserted into the door structure, allow the structure to be completely opened to be cleaned on both sides. Allowing extremely easy maintenance for producers of recycled or natural fibers characterized by high dust content. The symmetry of the aerodynamic system (with new designed nozzles), then allows an extreme precision of the air delivery on the material to be cohesive. A double structure that sees an internal frame independent from the external structure, allows the differentiated expansion of the structures and avoids dangerous deformations of the machine at any speed and temperature. The oven is combined with a hot air recovery system a simple and efficient system, all the heat recovery pipes are internal to the oven structure. Thanks to the fabric pre-heating performed with the recovered air, the natural gas consumption of the first heating section is 25-30% less than without heat recovery. TECHNOplants can provide complete turnkey plants for nonwoven. This year, Trützschler Nonwovens focuses on machinery solutions for the broad range of hygiene nonwovens. The high quality requirements of many Asian markets ask for sophisticated solutions in this segment. At booth 1130 Trützschler Nonwovens will provide information on its high-productivity spunlacing configurations for conventional wipes. The new high-speed card NCT is the core component in hydroentangling lines with production speeds of 300 m/min at the winder. 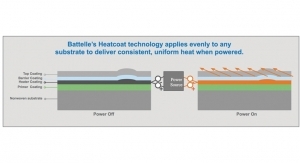 Thermal bonding and spunlacing solutions for top-quality and sustainable materials are another central point. 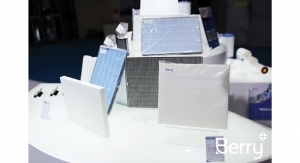 The company invites producers to discuss its through-air bonding solution for diaper materials such as ultra-soft top sheet or high-performance ADL. 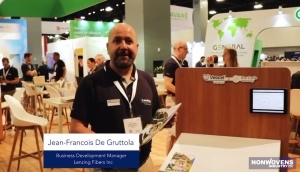 Another topic on Trützschler’s agenda is the reliable processing of diverse cotton fiber types. 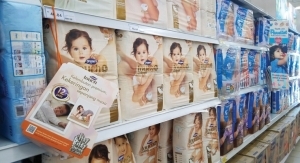 Production lines for cotton-based femcare products as well as for light and medium weight cotton wipes have been constantly refined to appeal to the demanding Asian consumer. The Uster Jossi/Vision Shield fiber cleaning system answers the challenge of avoiding contamination in the spunlacing process. Using high-technology spectroscopes, able to identify even minute particles of unwanted material in bleached cotton or man-made fibers. Uster Jossi/Vision Shield in fact has the power to ‘see’ and remove tiny fragments as fine as a single human hair – thanks to its coverage of a wider wavelength than conventional camera systems. 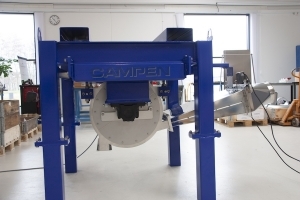 Its design also delivers maximum detection of contaminants with minimal waste. The system is best located in the fiber preparation line, right after the fine opener. Here, detection is optimized, since the fiber tufts are opened fully to prevent any small contaminants hiding inside. Unwanted foreign matter is detected and automatically ejected by the system, preventing subsequent contamination of the spunlaced fabric. 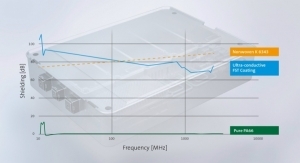 To minimize waste, Uster Jossi Vision Shield continuously measures the speed at which the fiber tufts pass through, so that each ejection is perfectly synchronized to take out only the foreign matter, with an absolute minimum of good fiber being lost. Producers are able to make notable cost savings by this waste reduction. The protection Uster Jossi Vision Shield affords to spunlace producers their business is optimally secured against loss of reputation and costly claims for off-quality. The technology allows reliable detection of various types of foreign matter, using both IR and UV light. All synthetic fibers, including ‘difficult’ small scraps of white polypropylene can be eradicated by the Uster Jossi Magic Eye in tandem with the Uster Jossi Vision Shield. The potential benefits for manufacturers of quality-critical nonwovens are significant: it would be quite disastrous, for example, to allow any ‘rogue’ substances to find their way into medical fabrics such as absorbent cotton, alcohol swabs, or surgical gauze. 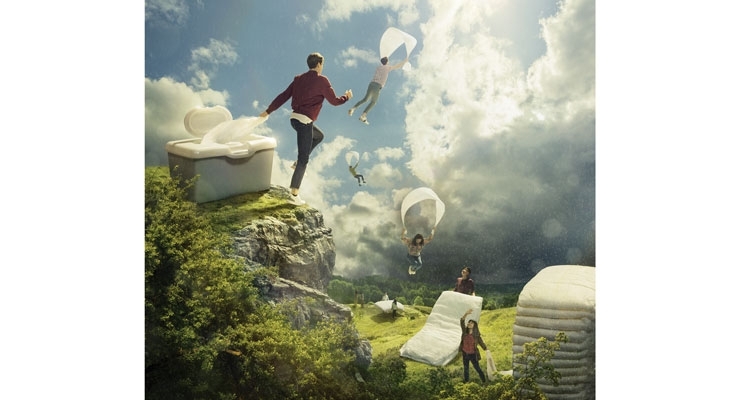 With the technology of Uster Jossi Vision Shield, nonwovens producers are in control, safeguarding both their reputation and profitability by investing in the best fiber cleaning solution on the market.